SmokeLess Heat is Varmebaronen’s importer for North America. Vedolux line is EPA certified and meets the stringent 2020 emissions levels and with a good margin on the lambda models. The emission reports are public records on the manufacturers website. 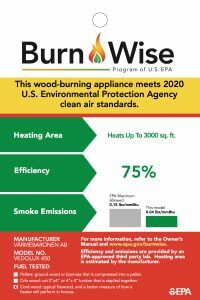 They prove the longstanding commitment Varmebaronen has in building a boiler that is very efficient and clean burning long before the EPA moved this new phase of emissions standards into law. 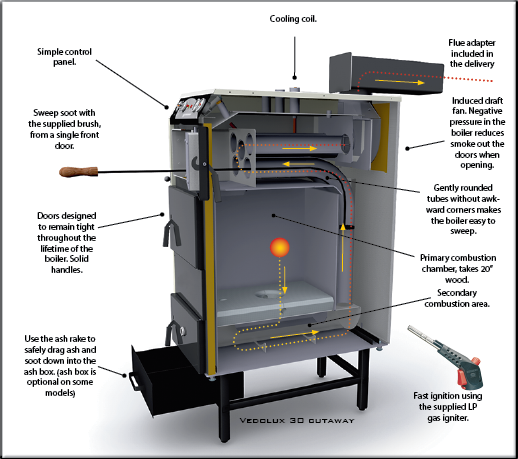 Varmebaronen provides a broad range of gasification firewood boiler models, including boilers with non electric natural draft, simple controlled induced draft and induced draft computerized Lambda controlled boilers. What about a Varmebaronen Vedolux is different from most other gasification boilers? Each Varmebaronen Vedolux boiler model shares a unique curved tube exchanger design, enabling easy cleaning of the exchanger from an upper front door. That space also doubles as a very effective smoke bypass that captures the smoke when opening the loading door. Boiler brands that have exchangers in the rear under a bolt on cover can take hours to clean if the turbulators need to be removed. Vedolux boilers use an induced draft fan which keep the boiler firebox in a negative pressure state avoiding smoke from escaping from around the doors. Induced draft fans are generally better at keeping smoke out of your boiler room as opposed to brands operating with push fans. The primary and secondary air airflow pathways are built-into the body to allow perfect burns without the operator needing to make complicated adjustments. Because the airflow has been so well designed the boiler will typically be operating smoke free within 5 minutes of lighting without the need to develop an extensive coal bed. Many brands must develop a coal bed and take 3 times as long before they burn smoke free. Vedolux boilers have a lower mass than most other gasifier brands of their respective size but they are built heavy where warranted. The very high wear areas are designed as consumable items and are easily replaced. The lower overall mass and expansive exchanger area enables all the induced draft Vedolux models to be generating usable water into the storage tank within 20 minutes from firing often about the time other brands are just begining to gassify. Many higher mass boilers take more than twice as long to have usable hot water and many have hard to replace ceramic castings. 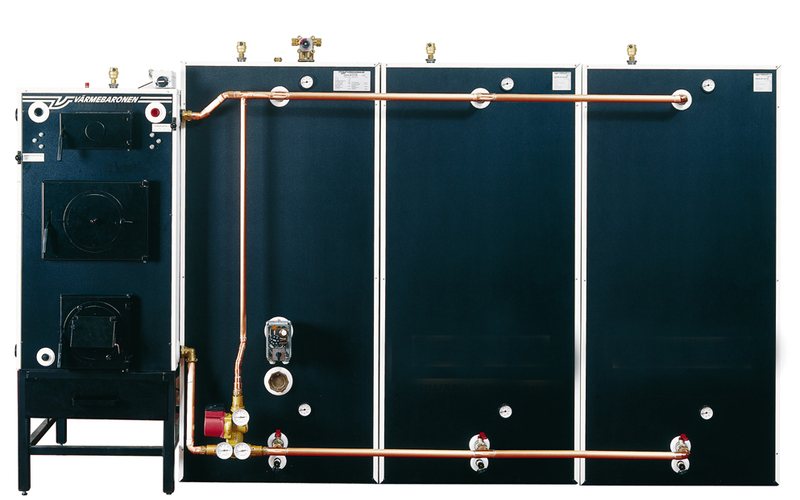 The Vedolux boiler system is designed to burn wood in a safe, efficient and eco friendly manner. The accumulator tanks are the key to achive efficiency and convenience by acting as “batteries” , storing the heat for later use. If you were leaving to go on vacation, electric heating elements in an accumulation tank could assist in your absence. Another option is to install the viking pellet boiler burner; which can be done with a few minutes of installation. If you already have a fossil fuel boiler it usually can be used as the backup system. 4 page general brochure featuring an informative overview of the product line. 24 page catalog featuring Natural draft and Induced draft fan wood boilers. 20 page catalog with the Lambda controlled wood boilers.